There are currently 3,718 users on this website. I had this for sale a while ago and removed it until I could get clarification on the value and legitimacy of the category. 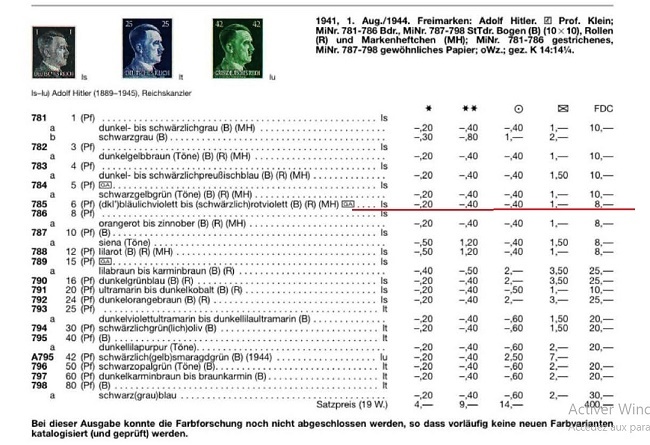 It is Germany 510 and a single was listed on a stamp sales site as a sub category of 510_1. Is there someone that can verify the sub category as a color difference and the catalog value at apx. 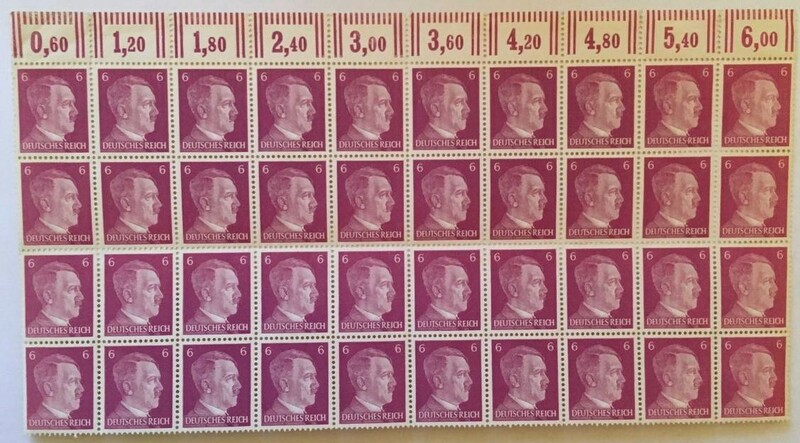 $7.00 per stamp in MNH condition? Sorry for the shading on the right side. Guess my fat finger got in the way. Hi Wheelman. Have you checked with eBay? I just checked and someone is selling the whole sheet for $14.95. That stamp is a garden variety Mi 785 / Sc 510. There are no major color subvarieties. CV is minimal. The entire sheet part is probably worth a couple bucks. a variety with different gum which can sell for more. The color on that issue is more accurately described as on a spectrum between dark bluish violet to blackish red violet due to gradual changes in the ink. Because the changes were so gradual, they are not catalogued separately, and none is considered significantly more rare than any other. All are worth minimal value.